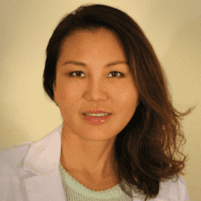 Testimonials & Reviews - Lee's Summit, MO: Amy Chow, M.D. Dr. Amy Chow always appreciates feedback from her valued patients. To date, we’re thrilled to have collected 7 reviews with an average rating of 5 out of 5 stars. Please read what others are saying about Dr. Amy Chow below, and as always, we would love to collect your feedback. thank you so much Love all you do!!!! I went to see Dr. Chow for a Hydra Facial yesterday and I am so happy that I did. She was there to greet me with a warm smile and made me feel very comfortable. We discussed other options that would be helpful for me and I chose to have a filler and Botox. Dr. Chow is amazing, I never felt any pain and I am so happy with the results! I highly recommend her and I will never go to another doctor for these particular services. I love it that she is hands on. Very knowledgeable staff described the entire process, explained how I could finance the charges, and the benefits to me. I am thrilled with the result. I have trouble with hair thinning over the years. I have researched the options and decided to give PRP a try a week ago. Dr. Chow was very nice and knowledgeable. The whole process took about 40 min. The price is very reasonable compare to other clinics in the city. I understand it needs several treatments to get the result I wanted. So far so good. I would highly recommend this medspa. Dr. Chow did an amazing job. I had a hydro-facial and Botox done and I couldn't be happier with my skin. I definitely recommend her practice. Wondeful place! I had the microneedling& PRP done on my face and neck. My face looks so great after one week already, some of my brown spots are gone. Dr Chow& Brandy made me feel very comfortable, I had a wonderful experience and I got so many compliments on my skin, it is glowing, I really love it! Love the hydro facial. My face is clearer, glowing and feels really soft and hydrated. great experience and felt pampered.